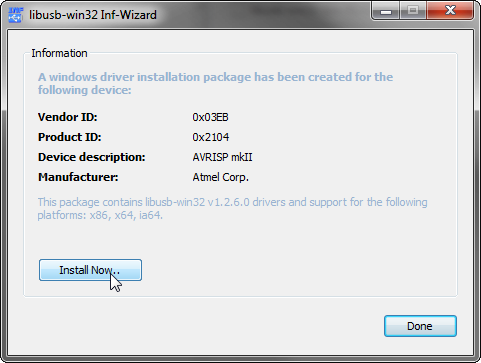 And follow the instructions to create the INF and install the driver. Step 3: There is no step 3, you are done. So, it is as simple as that! I have tried boards of my own design which have worked in the past, as well as a brand new arduino uno and nano, plus some third party nano clone. In all cases I get the same error, yet both lights on the AVRISP Mkii are green. If I flip the connector around, one light flashes orange, and if the target board is not powered or the connector is unplugged, the light turns red, as I'd expect. 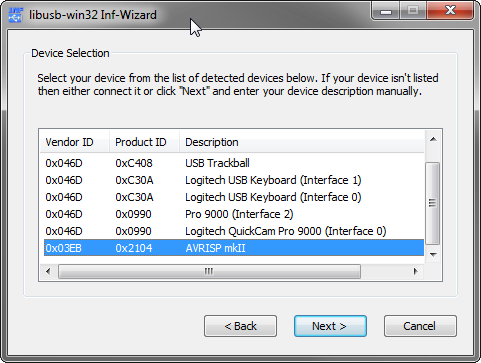 Does your device manager details window show the same as the screenshot does in my post? Maybe run through step 2 again and be sure to download it directly from http://sourceforge.net/. I did this with a FRESH install of Win7. 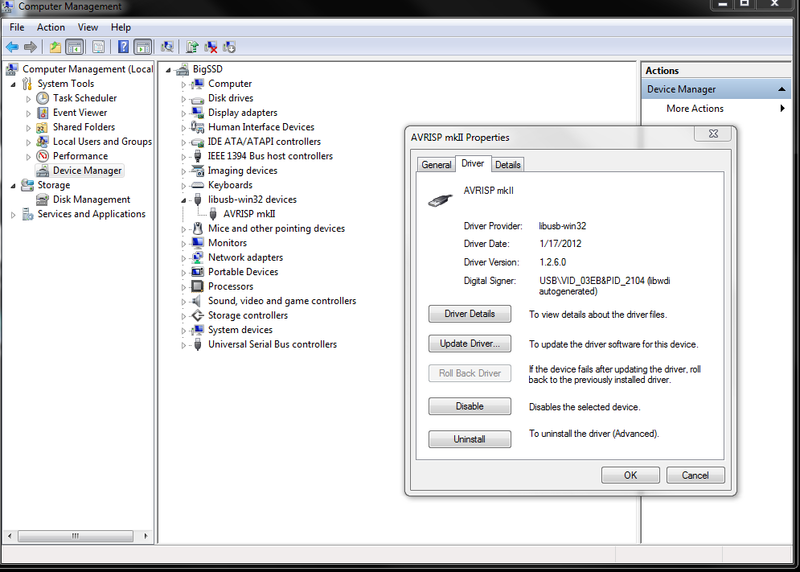 I know there can be issues with the MKII if you install AVRStudio first with that driver. I doubt that's the case with your setup since you see it correctly in devivce manager. Well, except for the signature. It is possible your MKII is bad? 3 different computers and 3 different arduinos... Maybe a bad usb cable? Hm, I went through step 2 with the link you gave in the instructions, same as before, but the result is the same. I still get the error after restarting with driver signature enforcement disabled too. 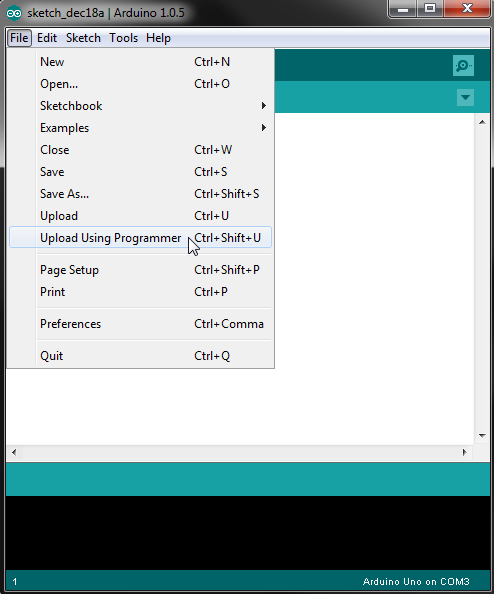 I've tried a second USB cable, though I've been able to successfully program the arduino uno with both cables. It could be possible that the ISP is bad, There are two more at work I can try. The libusb testlibusb-win.exe under AMD64 seems to be in order, though. Haha, yeah, it was just a dead ISP. Thanks a million. Just followed the instruction and it worked straight away. I can progam my ATTiny25 now that could no longer be programmed with mySmartUSB light programmer. I think the AVRISP mkII is better with respect to device power target detection. 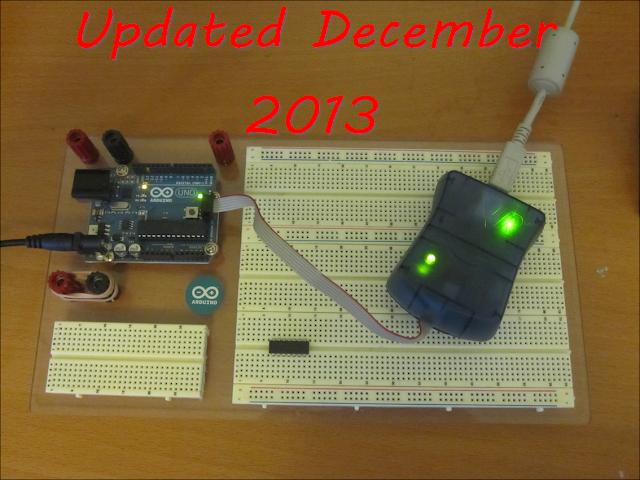 I noticed that with Atmel Studio. Thank you very much for this instruction. 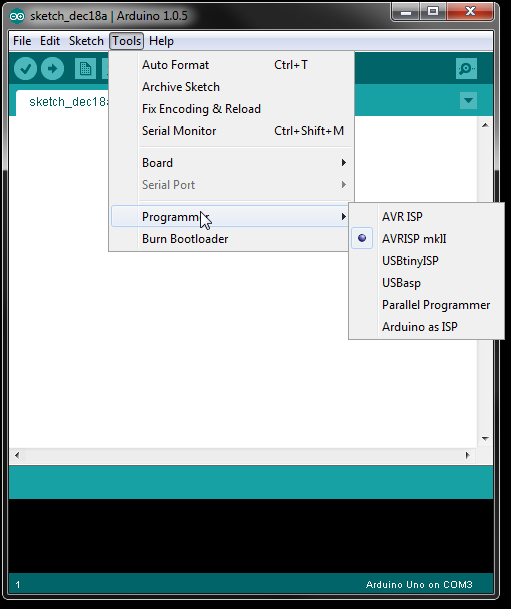 Hmm I checked with Atmel Studio 6.1 if it successfully could connect to mkII, before I followed this instruction to make Arduino 1.0.5. work with the AVRISP mkII. Afterwards Studio could not connect to the mkII anymore. 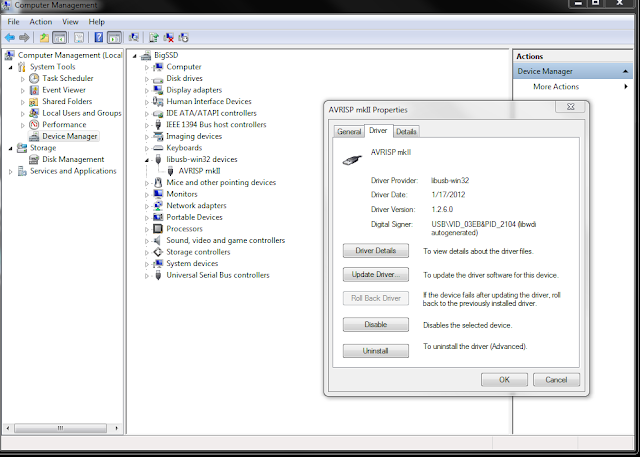 Is it either Studio or Arduino that can work with the AVRISP mkII not both with single configuration?